This is a bit of hippy cereal. I don't think the people at Peace Cereal would mind that characterization. 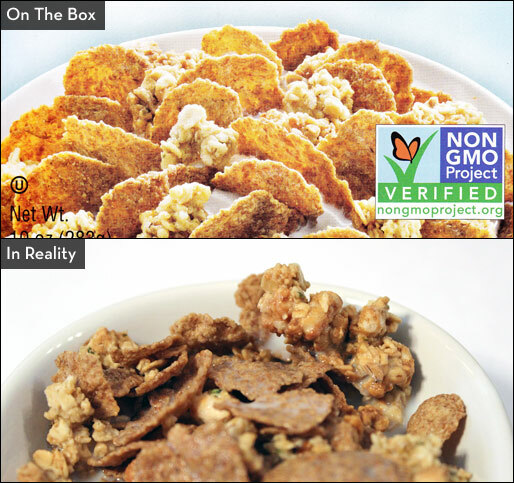 The components are all natural and the cereal features trendy, healthy ingredients like KAMUT Wheat and hemp seeds. I went into this review assuming that there would probably some tradeoff in taste for nutrition, but I'm glad to report that isn't the case. 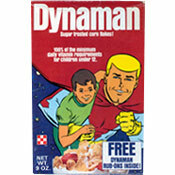 I really enjoyed this cereal. The granola clusters are large and fairly crisp. The wheat flakes have an almost nutty flavor. A touch of honey permeates every bite. One person in the office noted that "it's a little salty... but in a good way." The textures of the clusters and flakes work well together. The cereal stayed gently crisp in milk for about 5 minutes before any sogginess set in. If you find this cereal for a decent price, I recommend you give it a try. 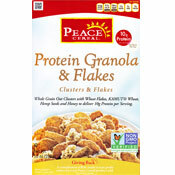 As with all Peace cereals, a portion of the purchase price goes to help non-profit causes. Nutritional Considerations: Each 2/3 cup serving has 220 calories, 5 grams total fat (0.5 grams saturated and 0 grams trans), 0 mg cholesterol, 180 mg sodium, 37 grams total carbs, 6 grams dietary fiber, 12 grams sugar and 10 grams protein. The $0.00 price amount indicates that the company provided samples of the cereal to be reviewed. What do you think of Protein Granola & Flakes?